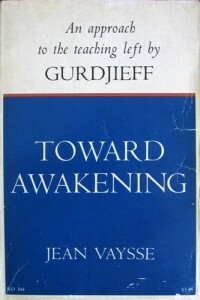 Toward Awakening is the only book by Jean Vaysse, one of G. I. Gurdjieffs french pupils. Working in the groups in Paris and later helping to lead them through the 1960s, Jean Vaysse felt the time had come to express Gurdjieff’s written teaching in a more coherent and logical way in order to bring it within the range of the average educated reader. The result is Toward Awakening. Little is known about Jean Vaysse, but he was born in Le Mans 1917 and died in 1975. In his ordinary life Jean Vaysse participated during the 1950s et ’60s in some breakthrough discoveries of modern surgery: renal grafts, cardiopulmonary bypasses, and surgery for arterial hypertension. Jean Vaysse felt the time had come to express Gurdjieff’s written teaching in a more coherent and logical way in order to bring it within the range of the average educated reader.